Research supports teaching children handwriting in a variety of ways. 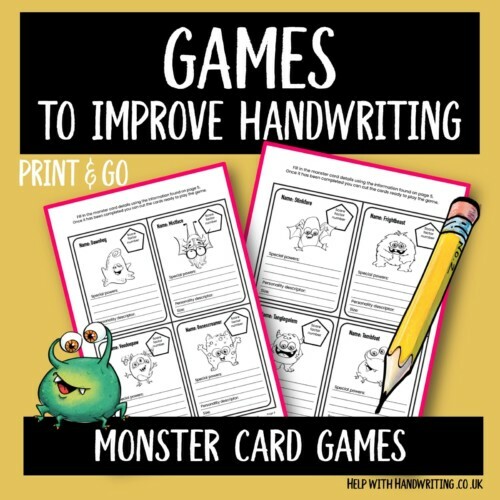 Use these worksheets to capture your child’s imagination and keep handwriting fun. 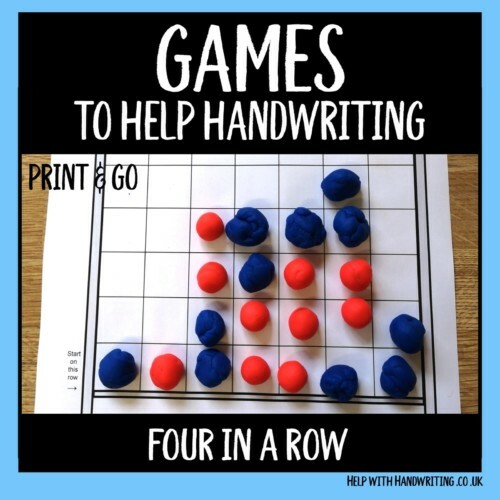 Play this four in a row game with a difference. The difference is that by making the balls it will improve your child’s fine motor skills. When playing this it will help them develop essential visual perceptual skills. Here your child is asked to write and rate the 8 monsters on their scare factor, special powers, personality and size. One written they need to cut up the cards and play the game that they have created. 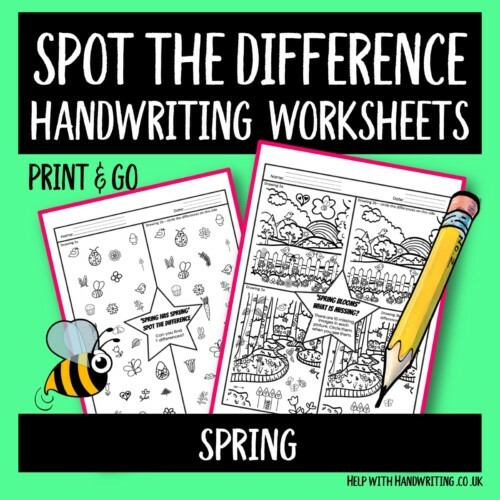 Use these 3 spring related spot the difference worksheets to develop essential handwriting skills. Visual perception is needed to recognise differences in letter shapes and your child will have fun doing them. 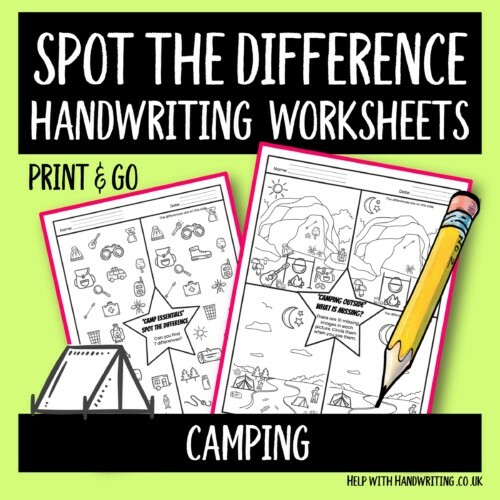 This camping spot the difference worksheet has 3 different puzzles to complete and is a great way to improve visual perceptual skills. A skill needed when recognising differences in letter formations. Member of HCPC, Royal College of Occupational Therapists, National Handwriting Association.